Our company has been successful in winning appreciation from the clients as one of the most prominent names in the trading of Atomic Force Microscope. Our company has been successful in winning appreciation from the clients as one of the most prominent names in the trading of AFM Atomic Force Microscopy. 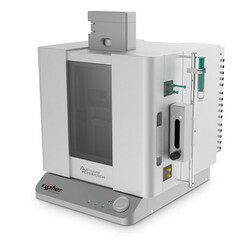 We are engaged in offering Atomic Force Microscope. 1. 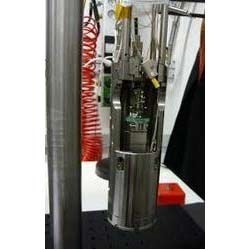 Integrated scanning probe and sample stage enhanced the anti-interference ability. We are a top notch supplier of Atomic Force Microscope. Are you a scanning probe microscope user (any AFM/STM instrument) and wondering how to get the best quality of images. Then you are reading the right message. Banking on the skills of our qualified team of professionals, we are instrumental in offering supreme quality range of Atomic Force Microscope. Banking on our enriched industry experience, we are able to supply Atomic Force Microscope. - Atomic force microscopes are essential for nanotechnology research requiring the visualization and measurement of nanostructures. AFMWorkshop's innovative microscopes offer a balance between an affordable price and the rigorous performance required by many nanotechnology researchers. We are amongst the most reputed names in the industry, offering Atomic Force Microscope. Our reputed entity is engaged in supplying Atomic Force Microscope. We are engaged in offering Atomic Force Microscopy.